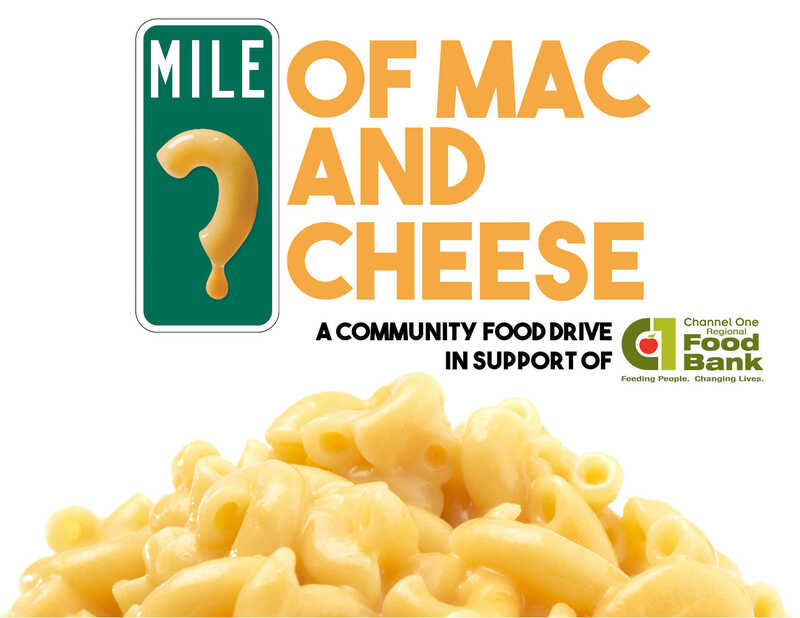 Channel One Regional Food Bank announced a Winterfest 2019 Challenge to the community- to collect one mile of mac and cheese in one weekend January 26-27. That goal, which equates to 9,000 boxes, will help sustain the need for the frequently requested product at Channel One’s Supplemental Food shelf throughout the year. Channel One Regional Food Bank joins the many area non-profit agencies that partner with Winterfest to help raise awareness and funds for their organizations. We are happy to announce that we not only met our goal of one mile of mac and cheese, but we reached two miles! That’s 18,000 boxes! Thank you to all who participated to help make this a successful drive! To achieve this goal, Channel One has partnered with Rochester Hy-Vee stores. On Saturday and Sunday, January 26th and 27th, 40 volunteers asked shoppers at all four Rochester Hy-Vee locations to purchase boxes of Mac and Cheese and donate them to Channel One by leaving them in collection bins. We are so grateful for all our partners and volunteers!